Sleeping Bear Press, 9781585363728, 32pp. 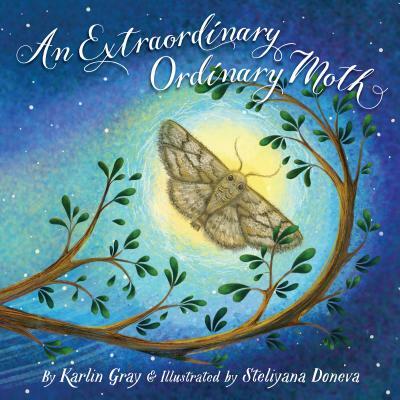 Feeling quite ordinary, a plain gray moth sadly compares itself to its more exotic kin, such as the Luna Moth, the Spider Moth, and the Hummingbird Moth. And the little moth feels even worse when a young girl sees it and says "Eww " But things change when her brother explains that this particular type of moth is his favorite kind of insect. Maybe an ordinary moth is really extraordinary after all. Back matter includes fascinating moth facts, along with a special activity.